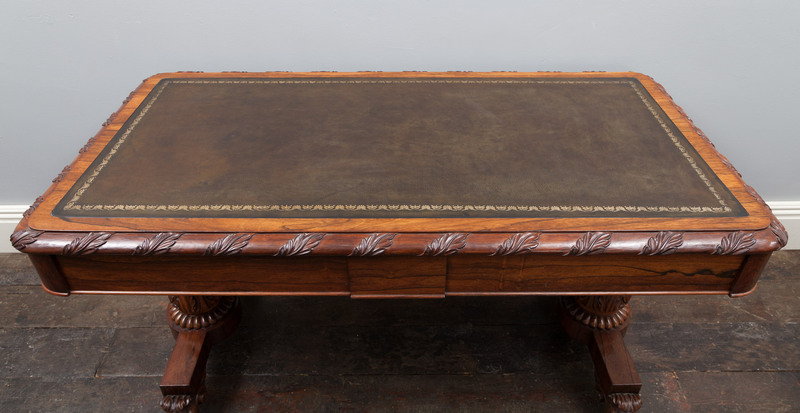 The table is in particularly fine and original condition. 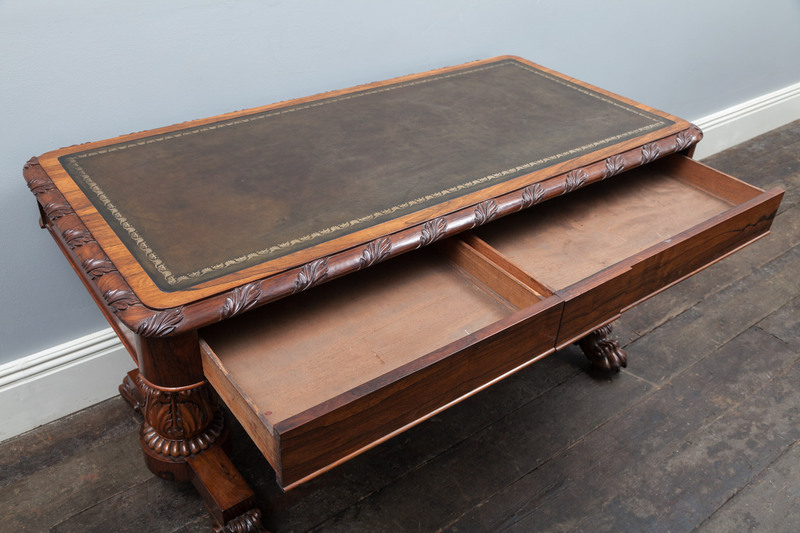 The top, complete with its leather writing surface is beautifully carved all around the edge with leaf work. 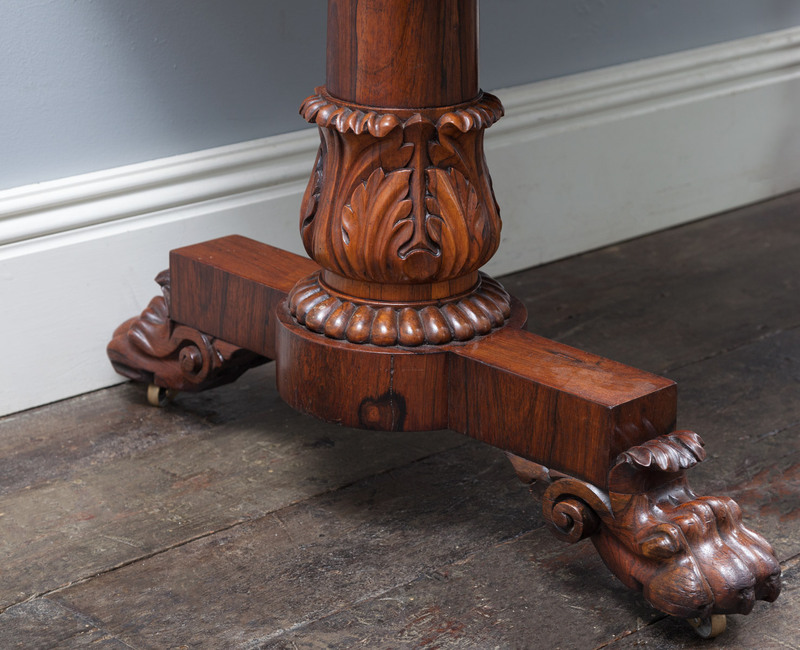 Within the frieze are two mahogany-lined drawers, the freize is supported on wonderful carved and turned uprights that lead to lion paw feet. 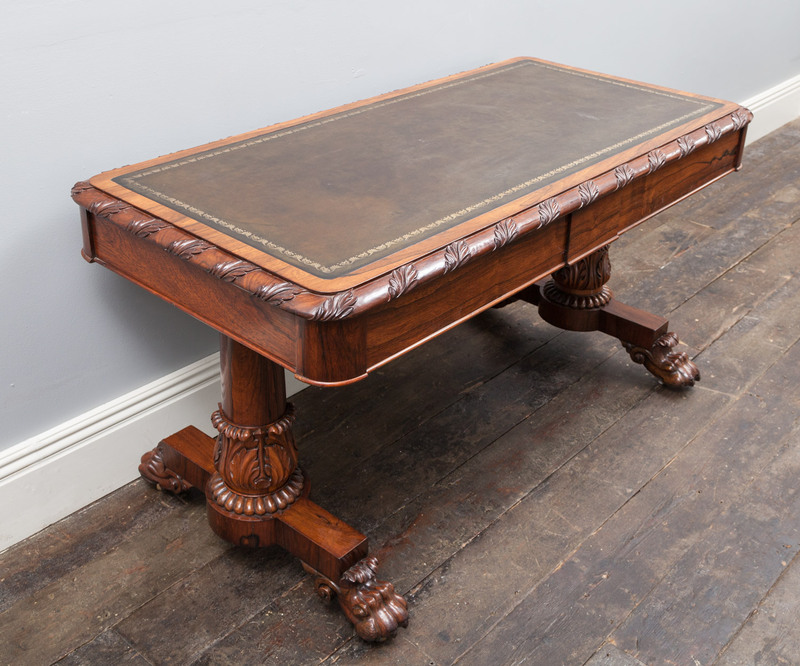 These type of tables are very versatile and are often used as sofa tables, desks or library tables. 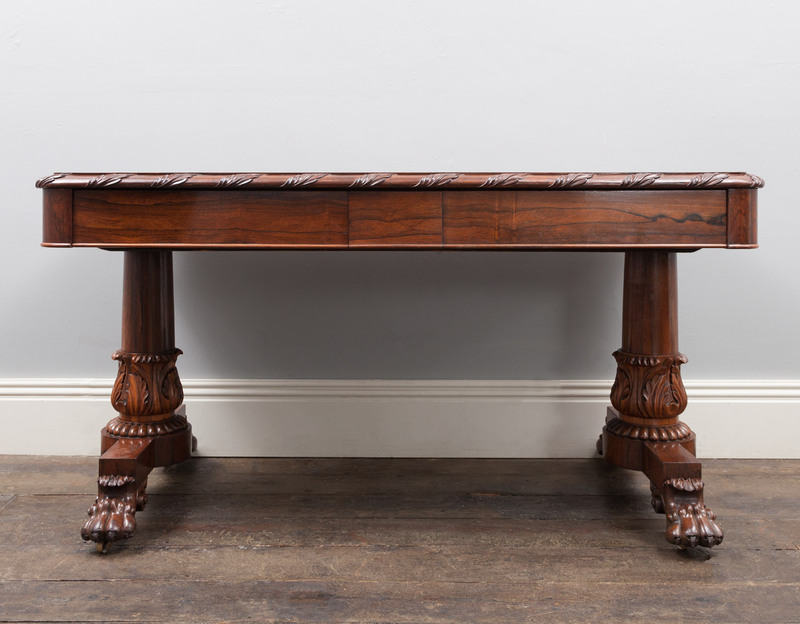 They also look stunning as a free standing piece in a traditional or contemporary setting.